Lutron leads the field in in the lighting control industry with a wide range of innovative solutions providing intelligent lighting in buildings and SaveMoneyCutCarbon is proud to have a trusted partnership with the company. Lutron is a global organisation committed to delivering value to its customers. Its founder, Joel Spira, developed the first solid state dimmer in 1959, making lighting controls affordable for homes and many businesses for the first time. The company has an enviable reputation for innovative, energy-saving lighting control solutions that provide flexibility, ambience, and comfort in residential, hospitality and commercial applications. It invests 10% of revenues in R&D, resulting in over 2,500 patents. 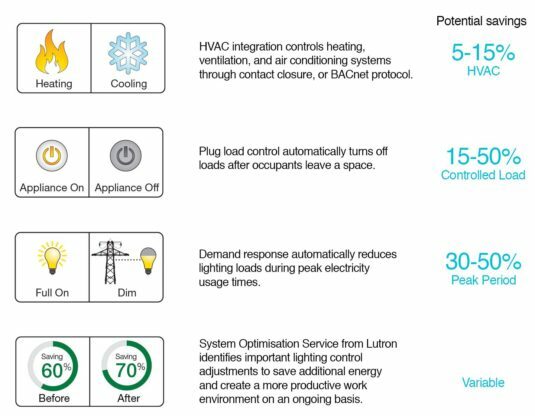 As the first VAR for Lutron and a Lutron Certified Installer, SaveMoneyCutCarbon shares a long-term strategic vision for innovative control solutions in organisations, businesses and homes. It also shares core principles that guide Lutron’s expanding business, with the care of the customer at its heart. Lutron controls have been installed in world-leading businesses and facilities such as Apple stores & head-office, Wimbledon centre court, Four Seasons hotel, Louis Vuitton, GlaxoSmithKline and Battersea Power station as well as the White House and Buckingham Palace. Lighting can account for up to 20.8% of yearly electricity use in commercial buildings and 10% in a household so energy efficiency is a priority. From homes to commercial buildings of all sizes, Lutron provides dimmers, occupancy/ vacancy sensors, light control systems, and shading solutions to reduce lighting energy use, optimise system performance, and enhance the visual environment to aid staff productivity. 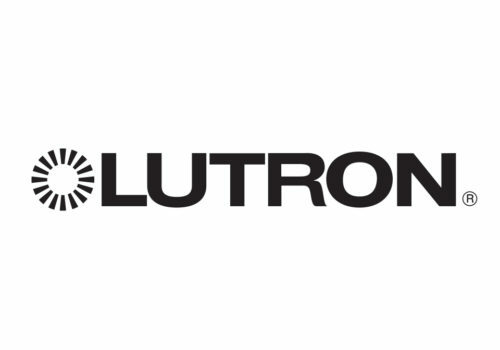 Lutron products currently save nearly 10 billion kWh of energy a year, reducing emissions of CO2 equivalents by 27 million metric tons, which is like taking 1.5 million cars off the road. Lutron dimming saves energy without sacrificing style or convenience and gives users easy, complete control through its mobile apps. Every commercial space, small or large, can make significant, ongoing energy savings by installing Lutron light controls. Lighting accounts for 40% of annual electricity use in commercial buildings with even higher usage in healthcare (43%) and hotels (55%). Easy-to-install wireless control options provide quick retrofit solutions to help buildings meet and exceed building energy regulations requirements such as MEES with savings of up to 60%. Most commercial spaces are over-lit, which simply wastes expensive energy. But over-lit spaces can also affect productivity. Too much daylight or electric light can make even the most fundamental tasks, such as computer work, uncomfortable and difficult to perform. With Lutron light controls, you use just the right amount of light, reducing your electricity bills, helping the environment and making your home more beautiful. 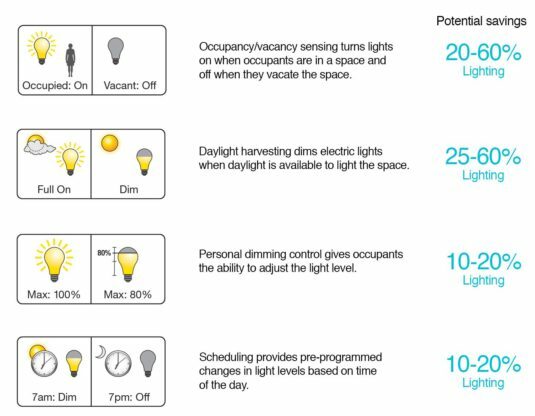 There are many ways to save energy without sacrificing style or comfort – from dimmers, occupancy sensors and whole home light control systems, to window blinds/shades/curtains that manage daylight and help control heating and cooling costs. Lutron light control systems extend energy saving throughout the home and its advanced technology allows you to control the latest energy-efficient light sources, such as LEDs. Vive is the revolutionary modular wireless lighting control system for new and existing commercial healthcare, hospitality, education, retail buildings that is powerful, simple and scalable. Its manageable by the end client, simple to maintain, expand and create new events – there’s no need to call Lutron or the contractor. Vive wireless installs 70% faster than wired systems and is designed to deliver maximum energy savings, whether retrofitting or for new builds. The flexible design means it works within tight budgets and is an ideal solution for EPC building improvements. While saving energy, Vive ensures increased productivity and comfort while improving building operations. Lutron has embedded best security into Vive, ensuring peace-of-mind through third-party validation, continuous improvement and monitoring with ongoing support. 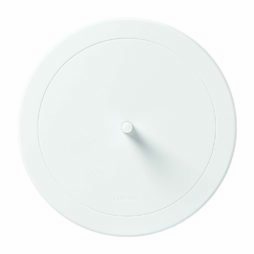 Vive and all other Lutron wireless solutions use Clear Connect wireless technology that operates in an uncongested radio frequency band for ultra-reliable communication and smooth dimming performance with no flicker or delay. Other devices will not interfere with the system. You can now tie multiple wireless hubs together in one Vive Vue software interface. A smart building is now easier than ever to achieve with Vive Vue. With the intuitive interface, you can view status, control lights, and optimise your building quickly and efficiently with a graphical floorplan. Space utilisation reports meant that you can quickly identify over-used and under-used areas to improve building efficiency without expanding the building footprint. View and monitor your energy savings with reports delivering trending energy information. With easily customisable reports, Vive Vue software helps you demonstrate the energy-saving advantages of wireless lighting control.